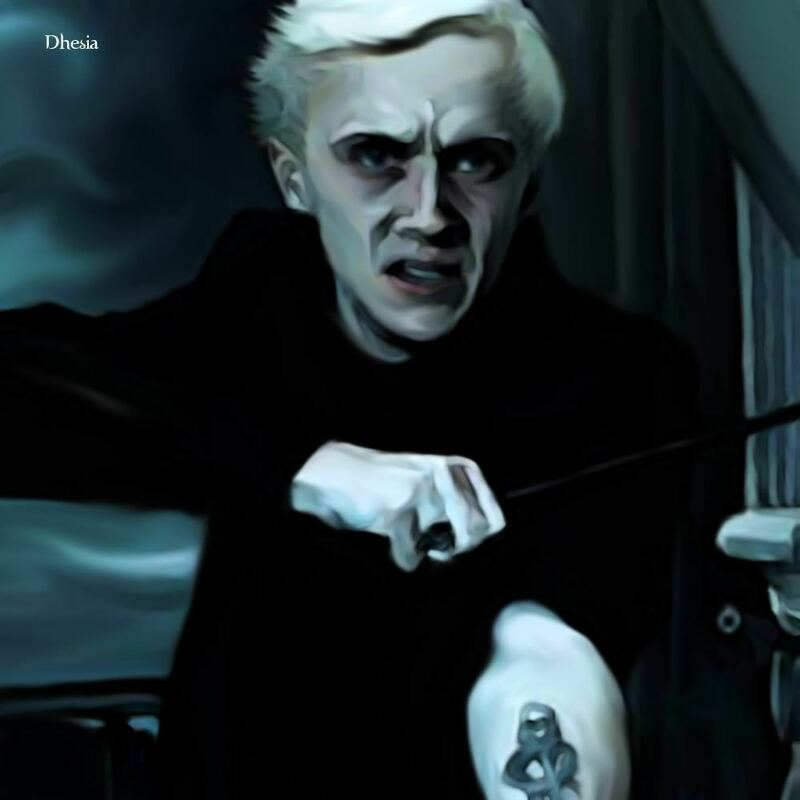 Draco's Dark Mark. . HD Wallpaper and background images in the Harry Potter club tagged: draco. this is wicked awesome! I thought it was an actual pic from the movie at first,the fact that people can paint like this...its incredible. That really does look real, amazing. Wow, awesome! This picture has such an emotional power, more than the same shot would have as a photo because his face looks as though his despair has made him age more quickly or something like that. Thanks so much! I'm happy that like my picture.